In this episode we continue our series responding to a couple of episodes of the Thinking Atheist Radio Show and his guests Matthew Dillahunty and Tracie Harris from the Atheist Experience and blogger Aron Ra in which they engage in what they call "Counter Apologetics". In this episode the topic is ostensibly on Pascal's Wager. Are their comments substantive? Listen and find out! If you would like to you can also find us on Stitcher or even create a quick launch on your smart phone by going to http://thefreedthinker.podbean.com/mobile/, at the bottom of the screen the user will be able to click the "Quick Launch" icon. Needless to say, there are a ton of ways for you to enjoy the show! In this episode, we continue our interaction with The Thinking Atheist Radio show as he discusses Counter Apologetics with Matt and Tracie from the Atheist Experience and atheistic blogger Aron Ra. You can find the show by searching and subscribing to the Freed Thinker Podcast on iTunes or you can listen to it on Stitcher. New Episode - Counter Counter-Apologetics! In this episode we begin a new series responding to a couple of episodes of the Thinking Atheist Radio Show and his guests Matthew Dillahunty and Tracie Harris from the Atheist Experience and blogger Aron Ra in which they engage in what they call "Counter Apologetics". Are their comments substantive? Do they make rational and reasonable responses to the common arguments of apologists? Listen and find out! The Freed Thinker Podcast is back with a bang! In this new episode I discuss if atheism is well defined as a "lack of belief" and whether or not atheists should even want to define atheism as a lack of belief. Should Atheists argue that Atheism is a lack of belief? A common atheistic rhetoric that atheism is just “a lack of belief’ has been the subject of a lot of debate over the past decade. Here I will discuss that rhetoric in theory and in practice. It is my contention that not only is the rhetoric not accurate or helpful, but in practice atheists consistently go far beyond a lack of belief. This assertion, that atheism is a lack of belief, commonly goes hand in hand with the assertion that atheism is thus a default position. The more I've been discussing this the more I think that defining atheism as a lack of belief actually weakens the atheistic position. I almost want to go along with it because if we allow that position through it will become easier for theists to simply dismiss atheism as a trivially true statement of subjective psychology than a substantive philosophical option. Fortunately, integrity cannot allow me to argue against weak positions as if they are the only positions. I think that atheism defined as the belief that God(s) do not or probably do not exist is an much more robust position because it seems the perfect storm of a very minimal burden of proof as a position of negation but also that it does not suffer the potential problem of equitation between different usages. Not to mention it escapes the criticism of being a redefinition for polemical purposes. Much ink is spilled simply over the semantics and etymology of the word “atheism” without actually getting to the real issues at hand. Part of the problem struck me when someone said that a person could be a “gnostic atheist.” That is, that they could claim to know that God does not exist, and lack a belief, that is, think that God's existence is not disproven but unproven. This position just seems completely bizarre - that someone can know X is false but not have the belief that it is true that X is false. At that point the equivocation that occurs on atheism being a lack of belief and atheism being a rationally justifiable position just fell like a ton of bricks. It is true that the atheists may have to give up the claim that babies are atheists but if we are honest, that did not get them very far anyway because no one claims that babies are theists. Thus for that to be in any way a meaningful assertion, the atheist would need to show why it is not a total equivocation that babies are atheists in a different way ultimately than they are or else the theist can simply point out that atheism has as the rational foundations of a baby and a rock and a lobotomy patient. Firstly, the position that atheism is a “lack of belief” is not what atheism has meant. That position is just agnosticism - "I dont know if there is" entails the corollary "I dont know that there isnt." That position is actually a rather innocuous statement merely stating that you don’t know either way. God could exist and he could not exist and the odds are about even. Or, for a kind of “hard” agnosticism, one might hold to the position that we are simply in a position that we cannot possibly know if there is a God or not. However, if by "I dont believe there is a god” one actually means “I disbelieve that there exists a god” then the logical corollary is, “I believe that no such thing as god exists” in which case you are not an agnostic. This is what has traditionally been defined as atheism. That person is what has historically been meant by an atheist – one who affirms the non-existence of a god. Yet if by “I don’t believe there is a god” one means something about their personal psychology – that is that it is just an autobiographical statement about one’s psychology equivalent to “I do not believe god’s existence is either true or false,” then again, that person is an agnostic. They are not describing the content of their actual beliefs but rather are making a kind of cataloguing statement of the kinds of beliefs that do or do not appear in their worldview. Yet atheists will commonly use the term atheism to be a stance against that of the religious believer. They do not mean it as a simple autobiographical statement. If that was a valid tactic then no one could object when if I were to say that theism is just the presence of a belief in God as an autobiographical statement of the kind of belief I have. That would just be trivially true. The real problem, I think, is that this position (that atheism is a lack of belief) is not actually possible in any meaningfully sense. Anyone who is involved in discussions about the existence of God have, in actual fact, all kinds of beliefs about God(s) and their more or less plausible or probable existence. The only way that we could be said to lack a belief about God once engaged in discussion about him, is if we are tabula rasa with regard to the issue of God – which none of us are. This may be an apt description for rocks or trees or infants or lobotomy patients, but not adults engaged in religious debates. Atheist: How could you say that?! What is your evidence? Me: Oh I’m not making any claims to know that God exists. I lack a belief that God exists. Atheist: But you just said that God exists. Me: Yes but that is just an observation. I’m not claiming absolute knowledge so I don’t need to defend it. Theist – believes God (-/+ probably) exist. Agnostic – does not know if God does/doesn’t exist OR thinks we CANNOT know either way. Atheist – believes God(s) (-/+ probably) does not exist. For centuries we understood that people could be more or less certain within each of those categories. So for example someone could say that they believe that God does not exist but they are only 65% sure of that conviction. The problem is that many atheists and theists alike think that beliefs have to have certain conviction (how often have we heard atheist ridicule theists for being so certain that God exists or theists mocking atheists for being so certain that God doesn’t exist and so on.) It is much more simple to use the terms as they were meant and, like in all other areas, allow for more or less conviction and certainty about those beliefs. I cannot say with any kind of honesty that I lack a belief in Santa Claus if I have the belief that Santa Claus does not exist unless I employ my terms equivocally. I do not lack belief in Santa Claus. I disbelieve the claim that Santa Claus exists - that is I affirm the proposition "No such being as Santa Claus exists." To then say that I lack a belief would be either deceptive or deceitful or dishonest or all of the above. I do not lack a belief about Santa Claus. I believe that in the real world no such being exists. I believe in a Santa Clausless universe. Philosophically I do not lack a belief in P if I believe the negation of P is more plausibly true. Rather I disblieve that P is true. Now this is where the equivocation comes in. I may say that I lack a belief in the autobiographical sense - that is if we were to imagine all my beliefs as marble in a box and were to look around the box we would not find the marble that corresponds to the statement "I believe that God exists." So in that sense, yes you lack a belief in truth of the statement "I believe God exists." But in that box we would find a marble that does correspond to the equally assertive claim, "I disbelieve that God exists" or "I believe that (-/+ probably) no such being as God exists." Unless I am tabula rasa or am an agnostic, it is impossible for “I lack a belief in God” to be a meaningful condition beyond a trivially true statement of cognitive autobiography. If we mean "atheism" in the purely subjective or phenomological psychological sense then sure it can be a lack of belief. But if we are talking at the level of discourse about the nature of objective reality (which we are in these debates) where we are discussing not our subjective beliefs themselves as a psychological statement but the content of our beliefs as they describe what we think is true of reality, then no, atheism is not a lack of belief but the assertion that (-/+ probably) no such being(s) as God(s) exist. That is, that we live in a god-less reality. Here we should even note the widespread usage of "godless" among internet infidel types. Do they merely want us to accept the trivially true statement of their subjective psychology? Or are they making statements about the kind of reality that they think exists? If it is the former then, so what? It would be just as banal as saying that I have a God belief. That does not tell us anything other than what beliefs populate my psychology. But if we are talking about propositions and what is true of reality, then we cannot allow such equivocations. For example, imagine I was an anti-evolutionist and I started arguing that I simply lack a belief in evolution. I then argued that people who believe in evolution are irrational and deluded and that evolution was "not even true." What would we say if when I was pressed for evidence for those statements, I simply said, "I dont have the burden of proof to defend my claims. I simply lack a belief in evolution. Sure I may disbelieve in evolution and believe that the statement "evolution is probably is true" is in fact false. But if you were to survey my beliefs you would find that I simply lack a belief in evolution. I dont believe it is true." To say that a person who believes P is deluded, you must first know that P is not true. In order to say that P is not true you must know (or at least believe it is reasonable to believe) and be able to defend that not-P is true. Therefore you cannot say that Not-Pism is not a belief or a lack of belief and say that people who believe P are deluded. A further example may be helpful here. I don't believe there is an elephant in the room - I believe that the room is elephant less - because if there were an elephant in the room I would expect certain things that I do not find. The absence of evidence that we should expect to find is a kind of evidence. No, this is not the same as "the absence of evidence is evidence of absence," but if we should expect to find a certain kind of evidence if X is true, then to not find that evidence is reason to hold the belief that X is probably false. I can, from the absence of evidence that I should expect to find in a room with an elephant, that therefore I think it is (-/+ probably) false that there is an elephant in the room. To go further, imagine an astronomer publishes a paper on "There are not aliens anywhere in the universe" but the entire paper is on why arguments for aliens aren't compelling. At the very least you would say that he has overstated the case and that he cannot say that there are no aliens, just that we don't know if there are or not. The instant he makes the claim that we live in an alien-less universe, he would need to defend that assertion. He does not lack a belief in aliens, but rather is going a step further to the position that aliens (-/+ probably) do not exist. This is a good illustration of someone who is agnostic with respect to aliens and one who is an a-alienist. The atheist position (there is no -/+ probably no such being as God – that we live in a God-less universe) does not have to be "I am certain there is no God" but can also be "I believe it is fairly probable that there is no God". Still, in so far as that is a statement about reality (i.e. reality is such that it is probably a god-less reality) it is a positive claim and thus should be reasonably defensible. The objection to what has been said so far however reveals the real motive behind the redefinition of atheism is recent years. It is to make atheism the default position by definition. If the atheist can convince the spectators to the God debates that atheism is the default position, then it means that atheism does not need to be rationally upheld or defended. So someone could make atheistic claims all day and mock, ridicule and reject religion and yet never carry any burden of proof to defend those claims. 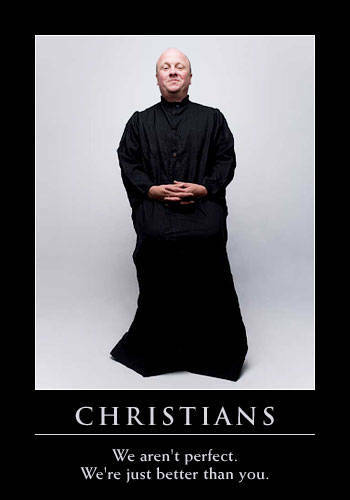 It is not surprising then that pop atheism has become so inundated with "memes" and sound-byte rhetoric because it is particularly easy now to make some attack on religion or some claim about religion being the product of human invention, and when challenged to defend the claims to assert that atheism is the default position, the tabula rasa, the non position that just is a conclusion and an observation but not a belief, and so on. It can be done because the rhetorical campaign to redefine atheism as basically agnosticism while still getting to make atheistic claims has been so successful. It even has some theists now dividing between hard and soft atheism rather than holding the line on what those terms have always meant in meaningful ways. Once we see that it is, however, just a trick of the rhetoric to sneak atheism in under the guise of agnosticism, and that such equivocal uses are not only not helpful but are actually dishonest, then the atheist is paradoxically on their way to a more robust atheism than what they had previously. I think if an atheist did not just knee jerk react to this course correction coming from a theist they would see that I am actually trying to make their position much stronger. For example, think of the claim that "humans live on the surface of the sun." If I lack a belief in sun-humans, then all that I am saying is that autobiographically in the catalogues of my beliefs that belief is not present. By the same notion I can say that theism is an autobiographical statement that I have such a belief. That is, theism would be reduced to a statement about a belief and is not a belief itself. But then from that posture I could not maintain that I simply lack a belief while at the same time saying that people who believe humans live on the sun are wrong or deluded. In order to do that I have to have a disbelief - a contrapositive belief to theirs. If I try to have both, then it looks like I am being either confused in my statements or else deceptive. It appears that I am playing a rhetorical shell game. However, if I say that I believe in the negation of their belief I have an extremely low burden of proof that could rationally consist of "we have never observed any human to live at those temperatures. For me to overcome my disbelief, I would need huge amounts of evidence." The minimal burden of proof for the negative position is overwhelmingly outweighed by the burden of proof needed for the positive position. The sun-human advocate would need to show that not only is it possible for humans to survive on the sun, but also that humans actually are surviving on the sun right now. Therefore this stronger version of atheism as disbelief in the probability of God’s existence seems a far more robust version of atheism that does not have any of the inconsistencies or confused language. I take it that this concept of atheism is far harder to deal with for the theist. I think many atheists will likely be too stubborn to see that this is actually much better for them merely because it is coming from a theist and it would mean giving up some of their more silly arguments about babies being atheists. It has been encouraging (and daunting) that I have seen an increase in number of atheists who themselves are seeing the problem of defining atheism as a simple autobiographical statement of lack of belief. So the ball really is in the court of the atheists. They can continue to play the shell game of rhetoric and maintain a very trivial kind of atheism that will be unconvincing to most people outside of the sphere of internet infidels, or they can abandon their love for saying that babies are atheists because they lack a belief in God and actually post an intellectually stimulating challenge to religious belief. 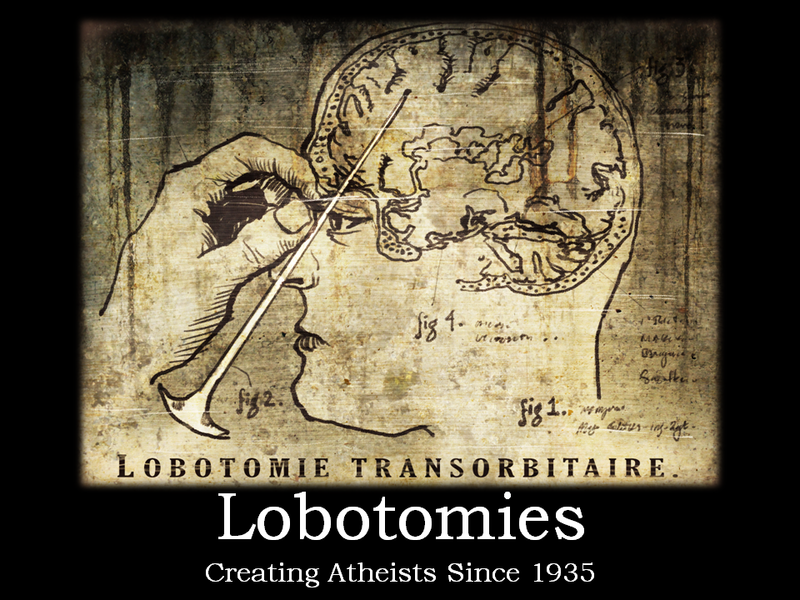 If they define atheism in such a way that it is as meaningful and rational as a baby or a lobotomy patient, why should they be surprised when they are taken no more seriously than a baby or a lobotomy patient?I am highly skeptical. Sadly, to bastardize a Lewis quote, some atheists are too content to play with mud pies in the slums of lacking belief that they cannot imagine a summer at the sea of consistent belief - or at least will be damned if they allow a theist to give them directions! This is a continuation of a previous article on this subject. Here I think some spilt ink is useful and have recently done so myself. I think however that we should be able to move beyond semantics, as useful in preliminary issues as it is, into the real content of concepts. For the purpose of this post I am simply going to quote a well known atheist who makes this argument and then briefly examine the etymology of the word “atheist” to see if the claim holds true. It is not uncommon for atheists who want to defend that atheism is merely a lack of belief to try and show that this conception is entailed by the etymology of the word atheism. Now to be clear, here in this post I am not attempting to reject that atheism can possibly mean “a lack of belief.” I have argued that elsewhere and in countless threads. David McAfee writes, “The word atheist breaks down into two parts: A (without) Theism (belief in deities).” For McAfee this is a lead pipe lock of an argument. 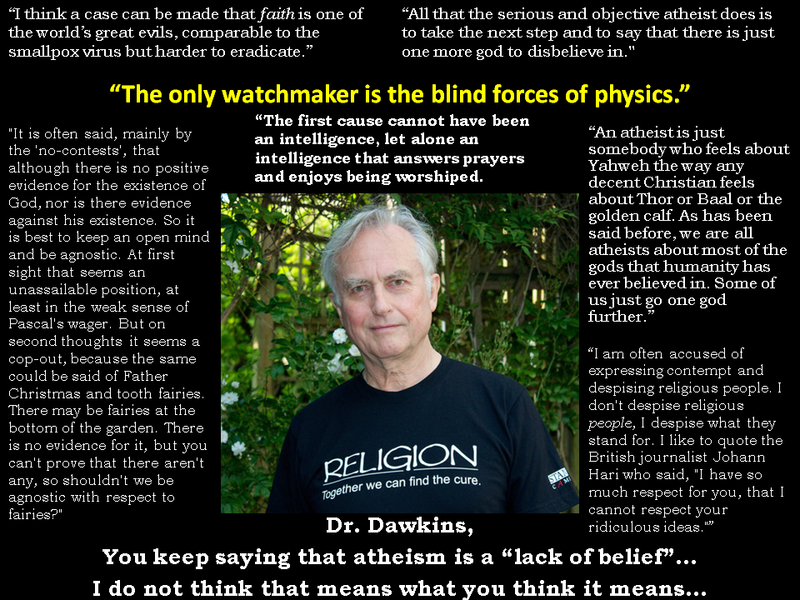 Atheism just means without belief in deities and anyone who says otherwise is just wrong on what the word even means. He wants us to believe that atheism is a-theism.Well is that the case? Not at all in fact. The problem arises in that when we are talking about the etymology of a word we are talking about the root language from which it comes. For McAfee’s tortured deconstruction of the word, it requires him to actually subtly slide between languages. The etymology in the Greek is ἄθεος (atheos). This was a term used in the Ancient world to describe people who rejected the existence of the gods and refused to worship them. Christians were often called ἄθει (athei) because they refused to worship the Greek and Roman deities or to worship Cesar as a god. It did not mean to lack a belief but a rejection of the gods and a refusal to worship them. The reason that McAfee and so many others miss this is because they think that the prefix a- is a later addition to the word “theism” thus arriving at a-theism. This is simply mistaken since "atheism" has its own etymology that is largely independent of the word "theism." Atheos is a Greek root word all on its own. So in the English, as I have shown, it is quite literally atheos-ism, or the school of thought that there are no deities (i.e. that we live in a god-less cosmos). That is the etymology of the term. Now language is fluid. I do not pretend that root words and etymology are determinative of what a word must mean in modern English. It is perfectly possible that the term “atheism” has come to be a signifier for the concept of a lack of belief in deities. We can argue the merits of that elsewhere as I have done, but the point here is that McAfee’s argument that the structure of the word “atheism” just means a lack of belief (a-theism) is simply misinformed.